Called Equa Air Quality Index, the comprehensive database features hundreds of cars that have been put through a special NOx test procedure by Emissions Analytics, a British company. Why is the NOx test significant? The test, conducted on roads and adhering to exhaustive, repeatable conditions, is said to bear more relevance to everyday driving conditions that motorists face than current EU emissions testing, which is laboratory based. And it means that when choosing their next car, drivers can finally have a true picture of how harmful different models are to air quality, as well as knowing whether they can browse Facebook via the dashboard or open the boot by waving their foot beneath the bumper like an over-enthusiastic ballerina. 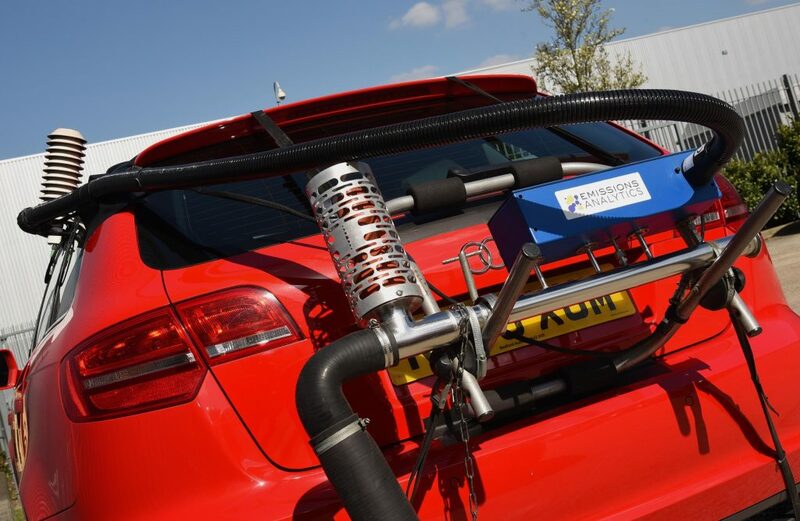 Understanding how much NOx cars produce is important, as nitrogen oxide is associated with asthma and other breathing conditions. Following the Volkswagen dieselgate emissions scandal, last September, more buyers are conscious that diesel cars emit more NOx than petrol-powered motors. Which Euro 6 diesel cars emit the least NOx? Which Euro 6 petrol cars emit the least NOx? How are cars’ NOx levels graded in the test? The Equa Air Quality Index grades cars on a sliding scale, A being the best, and H being the worst. A means a diesel car’s NOx emissions met Euro 6 regulations, and that a petrol car’s NOx emissions met Euro 4 regs. H means it is roughly 12 times over the Euro 6 legal requirement. All the petrol cars in the top 10, above, scored an A rating, whereas some of the diesels (from the Volvo S60 and below) fell into band B. Which were the worst performing diesel and petrol cars for nitrogen oxide emissions? According to the Equa testing, the worst performing diesel car is the 2015 Fiat 500X 1.6 118bhp, a popular compact crossover often spotted around town. It was rated in band H. The worst performing petrol vehicle was a 2015 Ford Focus 1.0 123bhp, one of the UK’s best-selling cars, and rated in band E.
When will a new emissions and fuel economy test be introduced? 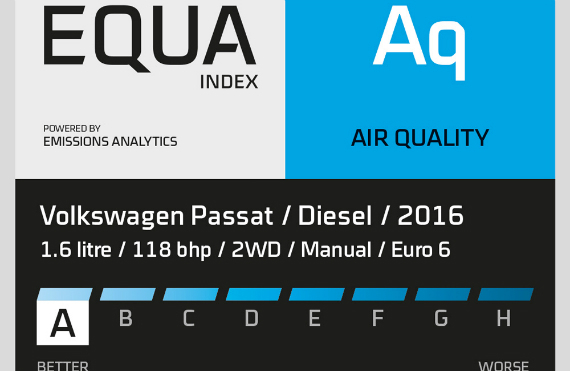 The Equa Air Quality Index highlights the disparity between what cars achieve in current EU lab tests, and how they perform in the hands of motorists. The industry recognises the need for change, and is working toward a new testing procedure – known as Worldwide Harmonised Light Vehicles Test Procedure (WLTP) – for introduction next September. It has been designed to better reflect day-to-day driving and remove loopholes that allowed car makers to effectively cheat tests. Whats up could you not find a Honda?? I bought a new Peugeot 2008 blue line diesel, because I was told the emissions were fine, yet th car does not receive a mention! It would be helpful to have a list published of CO2 & NOx emissions on all popular Diesel & Petrol cars. Some bad Petrol vehicles might be worse than some low emission Diesel engine. Lets not panic politicians into making decisions without knowing all the facts.